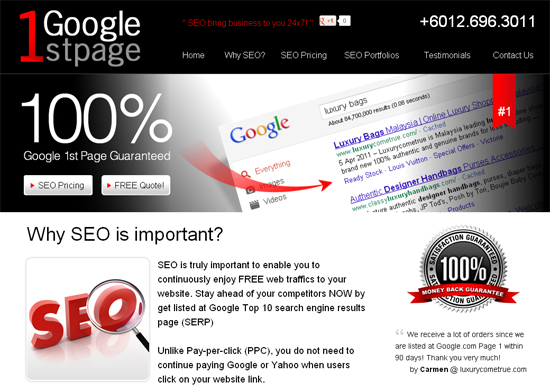 Unlike Pay-per-click (PPC), you do not need to continue paying Google or Yahoo when users click on your website link. More than 90% of Internet visitors only click on page 1 of search engine results page (SERP). If you are not on the first page, you are left behind! More than 80% of Internet visitors look for information via Google search engine. to find out how we can help to MAXIMISE your sales!